In line with SASCOC requirements for provincial sports governing bodies to align with Districts created within each province, governing bodies for all six districts will be formed in due course. 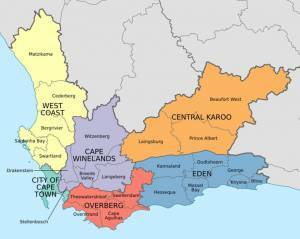 These districts will report to the Western Cape Sport Council through the Western Cape Triathlon Association (WCTA). WCTA will control the six Districts so that there is uniformity in the Province. A lot of work has happened in the background and an interim committee has been elected to manage this until more districts have been established. The new Cape Town Unicity Triathlon Association (CTUTA) has already been established! If you do not live within the Metropole of the Cape Town Unicity, there’s no need to panic. Any member of the former Western Province Triathlon Association, or any athlete living in the Western Cape will be taken care of by CTUTA and / or WCTA until a District Association has been formed in each area. For registration, all Western Cape based athletes will register under the WPTA page on the TSA Registration System. Members will not be required to join a District before it is up and running properly. The Western Province Triathlon Association (WPTA) has been transitioned to the Cape Town Unicity Triathlon Association (CTUTA).